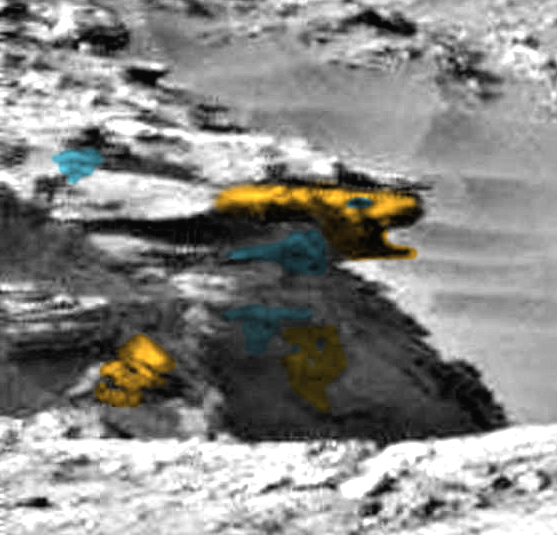 UFO SIGHTINGS DAILY: Long Ear Species Discovered On Mars, Rover Photo, Nov 2015, UFO Sighting News. Long Ear Species Discovered On Mars, Rover Photo, Nov 2015, UFO Sighting News. 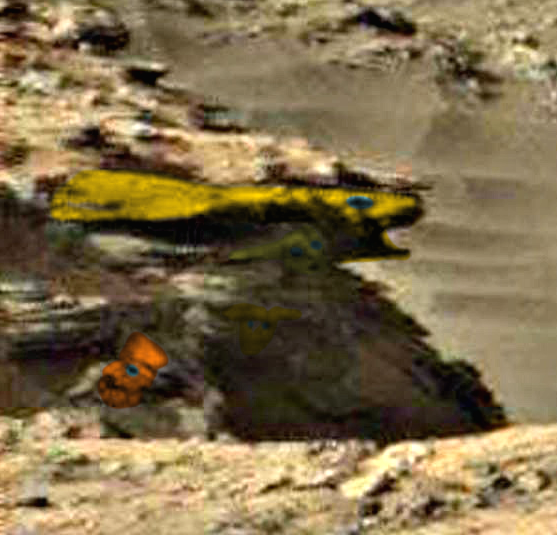 This amazing discovery was made by Twitter user Christian Mace of the UFO site http://ovniparanormal.over-blog.com He found several faces on a hillside. I notice that there are 3 or more faces that have long ear like appendages on the side of their faces at the upper forehead areas. These stand outward at a right angle to the head like wings more than ears. Very unusual, but the fact there are three points to this 100% authentic. 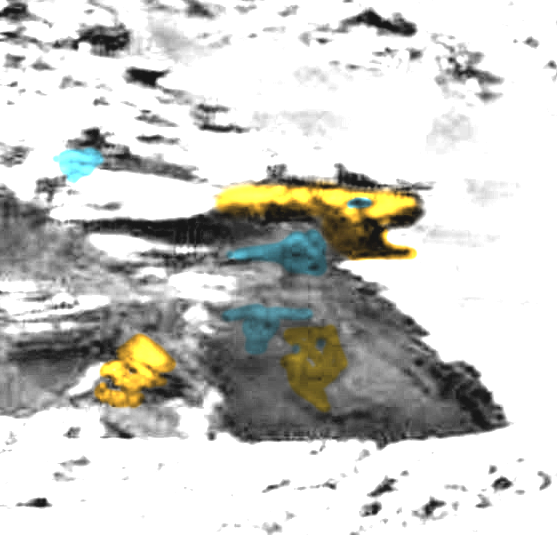 Photo above: I circled in red the "Reptile". Just behind is seen as a silhouette of an animal ... 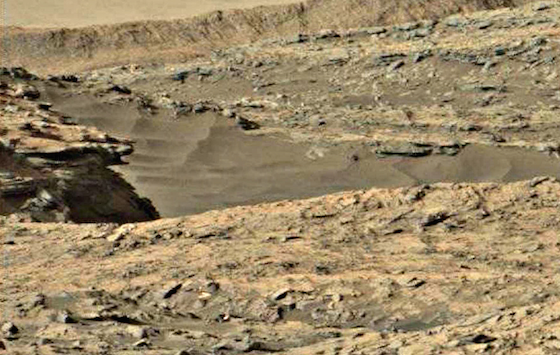 Exploring on the NASA website photos taken by the robot on the ground on Mars "Curiosity", this photo taken Nov. 24, 2015 to 12 pm 23.49 and posted on the NASA official website November 25, 2015, m 'was arrested. 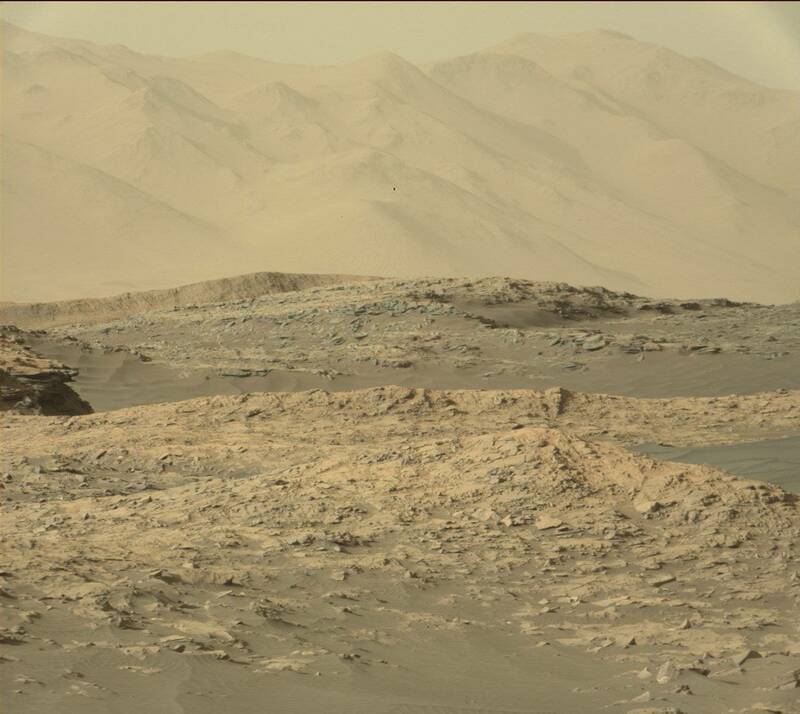 This is the photo SOL 1173, MastCam Right.